‘Can creativity be taught?’ That is a question which has time and time again been raised. No matter the verdict, a group of students from Raffles Institution certainly believe that it can be put to the test. From the 21st to the 26th of May, Jiang Peicun (13A01A), Darren Foo (13A01C), Shrey Bhargava (13A01C), Ernest Yee (13S06L) , Seah Wei Hing (13S03N), Isaac Gideon Tan (13S06G) and Jovi Tan(3C) participted in the international competition known as Destination Imagination. Held annually in Knoxville, Tennessee, Destination Imagination (DI) pits student teams against one another in a test of creativity, ingenuity and wit. For the uninitiated, there are two main components to the competition that each team has to complete. The main challenge is a prepared challenge where teams choose 1 out of 5 different tasks and work for several months to fulfill its requirements, at the same time demonstrating their talents in different fields. It makes up the bulk of the score and teams often face the stiffest competition in this area. The other segment is known as the instant challenge. Teams are given a task and they must work to complete it within a short period of time, usually 5 to 7 minutes. Some examples of tasks would be to perform a skit in which all the characters are animals and the plot involves a twist, or to construct a tower out of a fixed list of materials, making it as tall as possible and yet able to bear weight. The range of tasks that can be given are broad and this tests the teams ability to work together and think on their feet. The Raffles team chose the improvisation main challenge, meaning that, unlike the other main challenges, they could only do minimal preparation beforehand. Instead they worked on practising skills that might have proved useful in their final performance, where they would be given their task 5 minutes before and then have to complete it as best as they could. That dream took a beating during Nationals – the team came in second for their main challenge, scoring less than ACJC’s team. Fortuitously, they were rescued when they were awarded full credit for their instant challenge, ensuring that they would seize top spot and secure their trip to the Global Finals. The team worked hard in a bid to recover from what had been a terrible National performance, regaining some confidence before they flew to Tennessee. 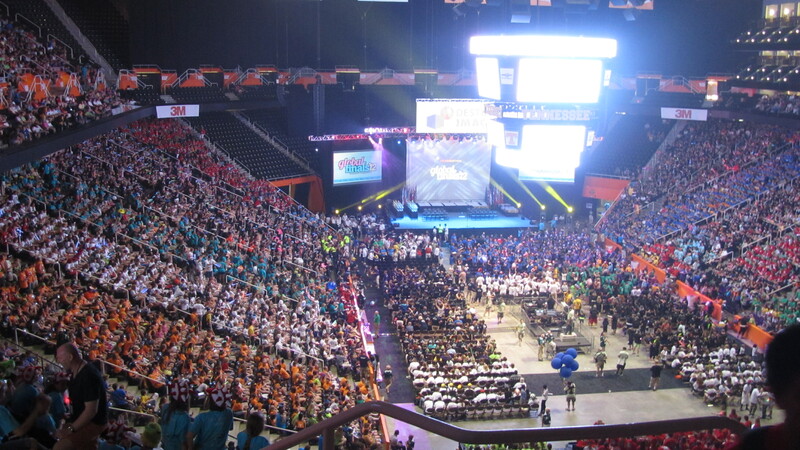 At the Global Finals, the intensity of the competition was raised with many other skilled teams from different parts of the world. During the instant challenge, the team was faced with a water challenge – a category which they had never successfully completed before. Using various materials they had to construct a boat and then guide it with a fan through a tub of ‘icebergs’ to the other end, all while racing against the clock. Despite their previous lack of success, the team managed to complete the challenge and thought that they had done well. They were to be disappointed upon finding out that their instant challenge performance had instead been graded as mediocre. However, their performance in the main challenge was no less than stellar and they were hoping it would pull up their overall score. It would take a miracle. “I thought they were going to play the national anthem,” commented Ernest wryly. Elated with their success, the team returned home and reflected on their journey. “We had charisma and a team of talented individuals at the start, but we weren’t good friends. The difficulty was finding the cohesiveness,” Shrey recounted. “Being away and going there to experience DI, it’s like a different world altogether. You meet people from many different cultures,” mused Peicun. Ernest concurred and added, “One of the things that surprised us the most was the clout that RI had in the Global Finals. 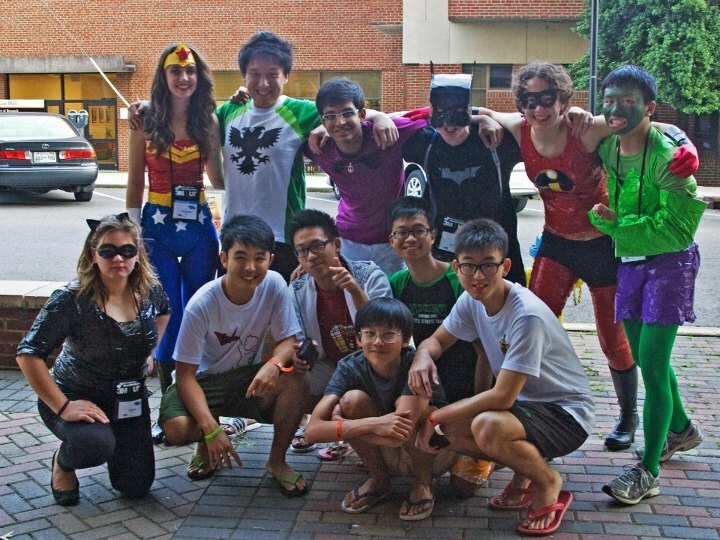 Many international teams recognized the Raffles shirt and recognized Singapore. One mother even came up to us and said, “My daughter in elementary school has been watching your senior’s videos and she’s really inspired.’” At the Global Finals, Raffles and Singapore are synonymous with championship. With strong representation by a wide range of Singaporean schools, one would hope that this trend will change in the future. Despite all this, many in the team felt that the experience had been well worth the sacrifices, and strongly encourage other interested individuals to sign up. With the expectation for strong performances already cast in stone, it would not be atypical of future Rafflesian teams to rise to the challenge and continue the legacy.